"Really appreciate for sending on time. Thanks"
"No you guys are perfect. 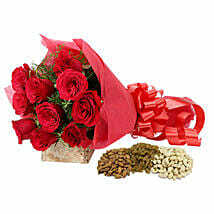 Gifting means ferns n petals. 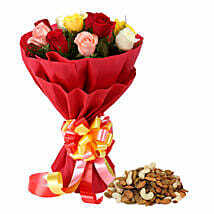 Generally I prefer gifting healthy non-sugar option for gifting. Could you please add more healthy options. It would really help. 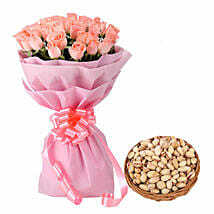 Thanks"
"Good, flowers Quality need to Improve." When you dream of the perfect tablescape during the festive season, all that you get to see is your old friends, family and relatives indulging into meaningful conversation. To make the occasion memorable, Ferns N Petals brings to you a wide range of gifts to delight your dear ones during the festive occasion. 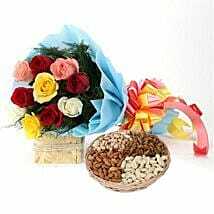 As your old friends, families and relatives gather together to feast during the festive time of the year, don't go empty handed instead surprise them with a perfect combo of flowers with dry fruits which are the most suitable combos for all kinds of festive occasion. 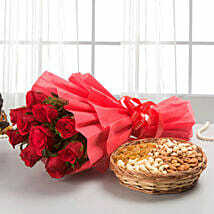 Our exclusive combos and gift hampers captures the true spirit of the festive occasion. 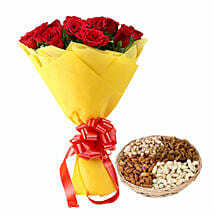 To make your loved one feel that you truly miss them during occasions of joy, our web portal brings to you some of the most beautiful flowers with sweets online. We have a range of artificial flowers too which looks much like the original ones to add to the festive mood. 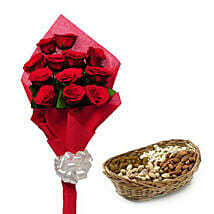 As an additional delight these artificial flowers will never perish. 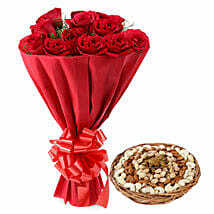 Send flower bouquets online from Ferns N Petals and take the festive mood to the next level. If you can't make it for home you can trust our timely delivery services and flexible delivery options which allow you to send gifts the same day, next day and even fixed time delivery too. All our gift hampers have measured up to the highest standards. 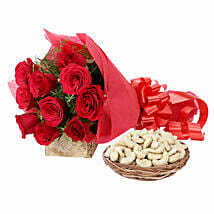 When you send gifts from us, you gift a smile to your loved ones. They feel more loved and it also strengthens the bond with you. 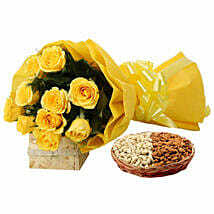 Dry fruits have been considered as a healthier snack option when compared to others and when these dry fruits are coupled with a fresh bunch of flowers the brightness and liveliness they bring to your home is immeasurable.At Ferns N Petals, we have been on the constant look out to improve our services. Therefore, we have come up with exceptional delivery services which make us one of the most preferred brand name in the industry. We have also come up with easy payment option which makes it convenient for the customers to shop from us. 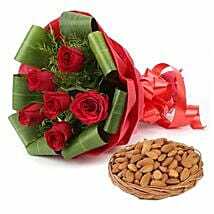 We are present both nationally and internationally because of our strong logistics team which helps us to send flowers with dry fruits and any other gift to the remotest city.